Your tattoos don't need to be permanent. At Newport Tattoo Removal, we offer the most advanced laser tattoo removal techniques aimed at gently but effectively removing pigments from within the skin. 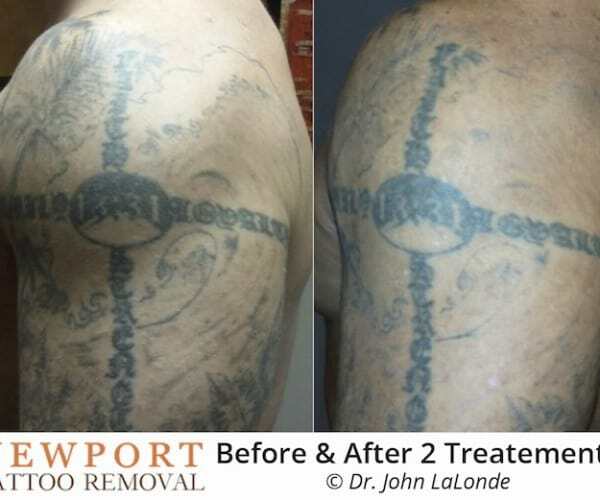 Tattoo Removal Newport Beach has been helping men and women restore skin to its original, healthy appearance. Nearly 20 percent of people have unwanted ink that they want to remove. Maybe you're proud of your ink and just need to make room for new designs. Either way, using PicoSure’s advanced laser technology, you can remove very dark lines, multicolored inks and even recalcitrant tattoos that have previously undergone laser treatments. 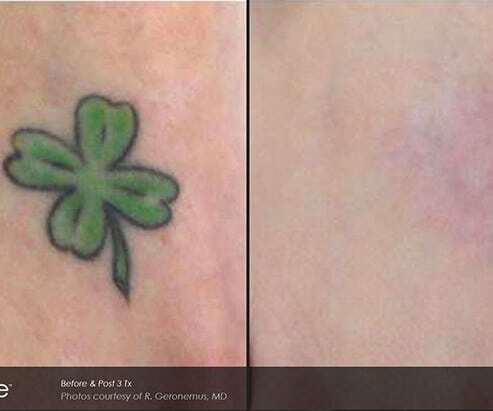 PicoSure laser tattoo removal is fast and effective, with many patients experiencing nearly 100 percent removed tattoos in only three sessions. Tattoo removal in Orange County has never been easier. PicoSure is the only device on the market equipped with a picosecond laser. Using PressureWave technology, PicoSure laser light bursts completely shatter underlying tattoo ink into microscopic particles that the body can easily eliminate through the circulatory and lymphatic systems. 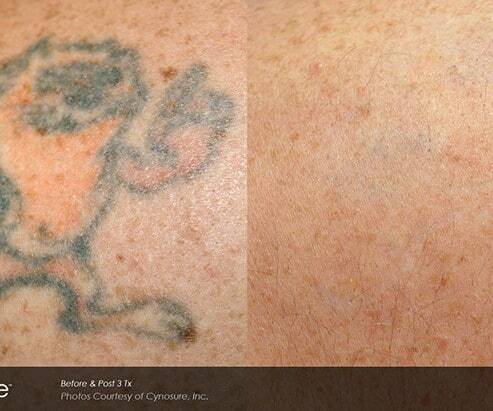 Other tattoo removal systems use outdated nanosecond lasers that use heat energy to melt away the pigment and as a result, can also burn your skin. PicoSure is safe to treat all skin types without a major risk of scarring or permanent damage. 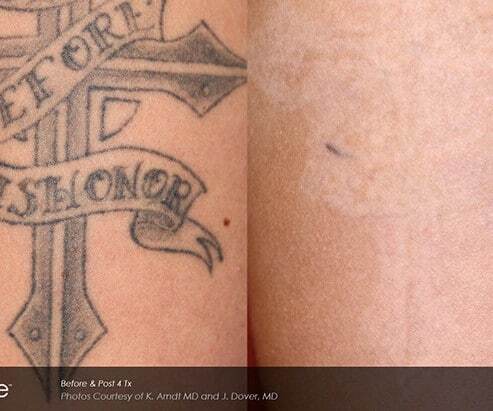 The PicoSure laser is a major technological advancement over Q-switched Nd: YAG lasers for tattoo removal. Treatment sessions are short, but several may be required to achieve total clearance. The tattoo’s size and color will primarily determine how many sessions will be needed to remove it. It is recommended that you wait four to six weeks between each session so the pigment has time to be expelled from the body. Laser tattoo removal is relatively comfortable, with most patients saying the procedure is less painful than getting a tattoo. Patients may experience some minor side effects including a temporary sunburn-like sensation, but scarring is rare. Most people can resume their normal activities immediately following treatment without any downtime. Laser Tattoo Removal is the only way to remove a tattoo and Newport Tattoo Removal Newport Beach's best tattoo removal center. Newport Tattoo Removal is conveniently located in Costa Mesa, making tattoo removal in Orange County simple! 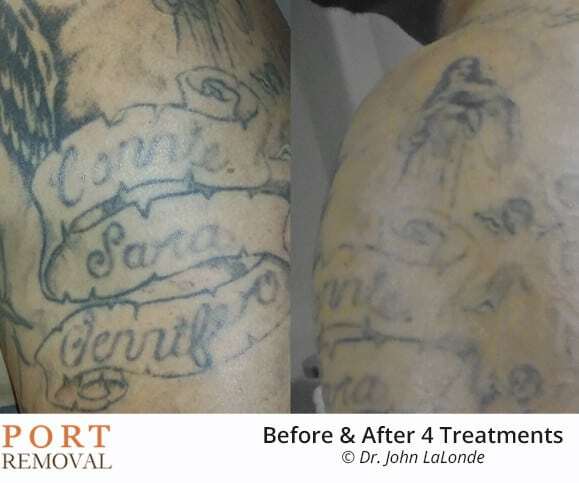 Stop hiding your unwanted ink and get your tattoos removed by contacting Newport Tattoo Removal in Costa Mesa, CA to set up a consultation today! Call (949) 631-9009 to schedule your free consultation today. 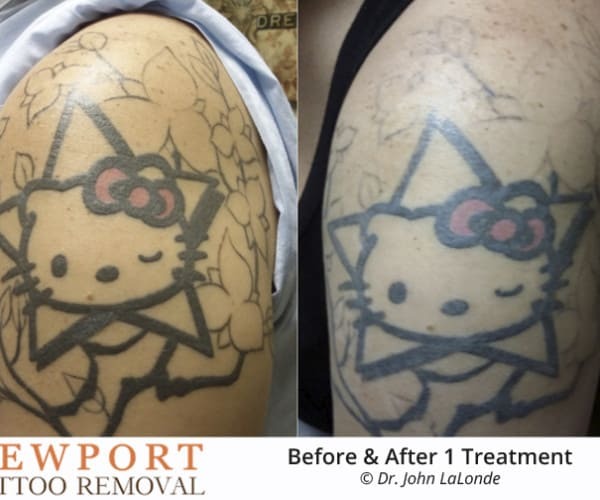 Get Your Tattoo Removal in Newport Beach – Start Now!